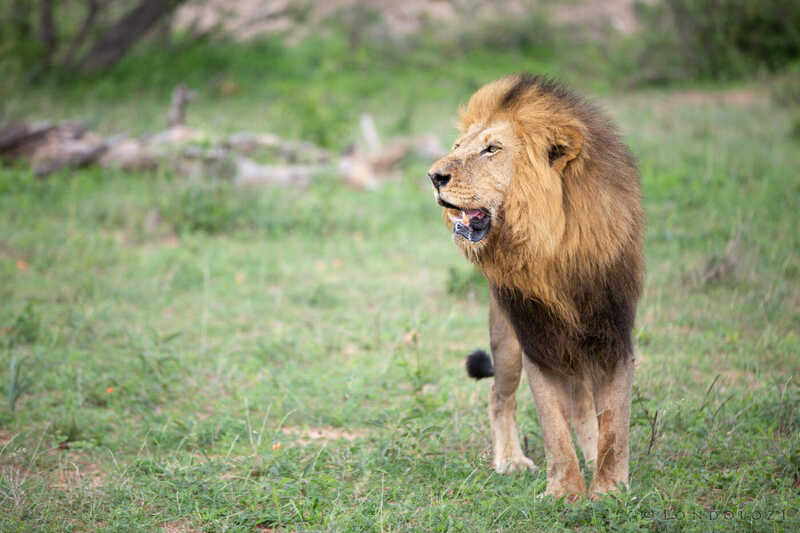 Lions, lions, lions have been the call this week, as the Ntsevu pride have taken down a wildebeest, scavenged a kudu carcass, stashed their cubs a couple of times and then gone to retrieve them again, all the while followed by the Birmingham coalition. Although summer isn’t normally too conducive to great lion viewing, as the heat of the day drives them into the shade early on, the cloudy weather we have been experiencing has kept temperatures low and the pride on the move. Long may it continue, as well as the rain that the clouds have been releasing intermittently. 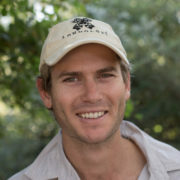 I haven’t seen her myself recently, but reports from the field are that the Tsalala lioness is pregnant. Huge news, obviously, so we’ll be monitoring that story very closely. 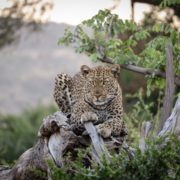 With a restricted territory, she should only have so many spots in which she could stash cubs, and with the river flowing her options are even more limited, so should she give birth in the next couple of weeks, we don’t anticipate too much difficulty in finding the den. Watch this space! 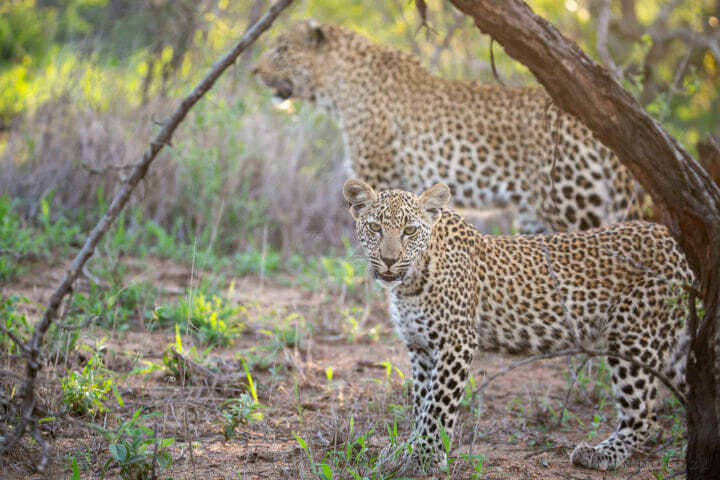 The Mashaba female leopard seems to still be making use of her original den with her three tiny cubs, but they are still way too small for regular viewing, so while her tracks continue to point towards the same drainage system, we are still leaving the new litter in peace. We bumped into this Birmingham male late on blustery morning as he doggedly followed a scent trail of what we presumed was either one of his brothers or the Ntesvu females. His contact calling a few minutes later certainly indicated that there were other lions nearby, and we soon caught sight of two Ntsevu lionesses. Funnily enough, the male didn’t see them, and walked straight past, about 100 metres away, eventually losing the scent trail and falling asleep under a marula tree. 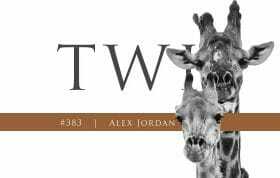 They had all met up by evening though, and moved off into the boulders of the Sand River. A young elephant calf scurries after its mother. 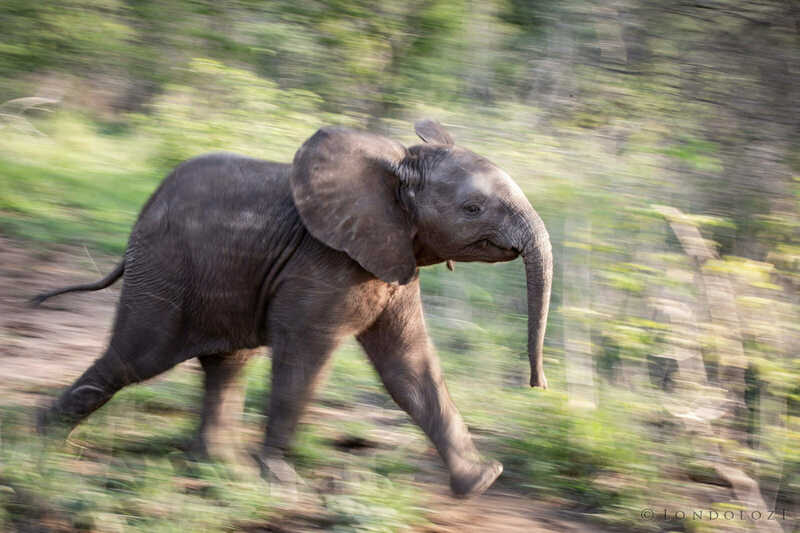 Small calves like this will act very brave when their mother is nearby, but as soon as they’re that critical distance away from her, they panic and rush back to hide behind her, which is rather hilarious for all who happen to witness it. This youngster was so intent on our vehicle that it hadn’t noticed its mother had moved a considerable distance away while she was feeding, but as soon as it saw that it was isolated, it bolted back to her trunk’s embrace. I can’t remember a time when the bush was so full of impalas. 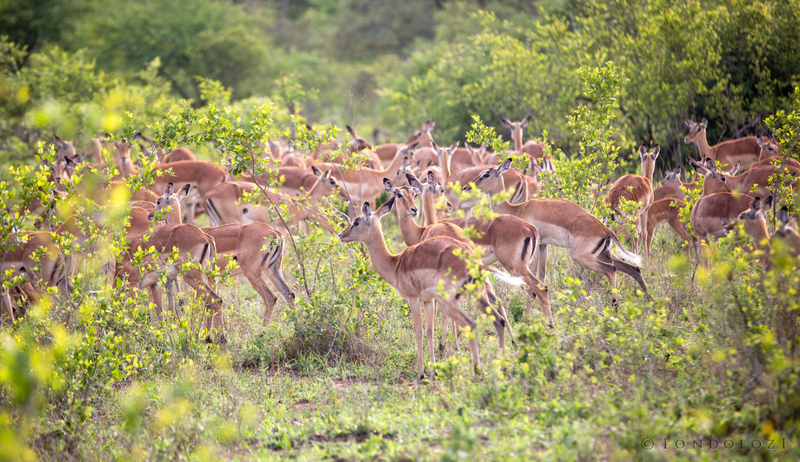 The most successful antelope species we find here, they are mixed feeders, meaning they can eat grass and leaves interchangeably. Should one food source become scarce, they can happily switch to the other. 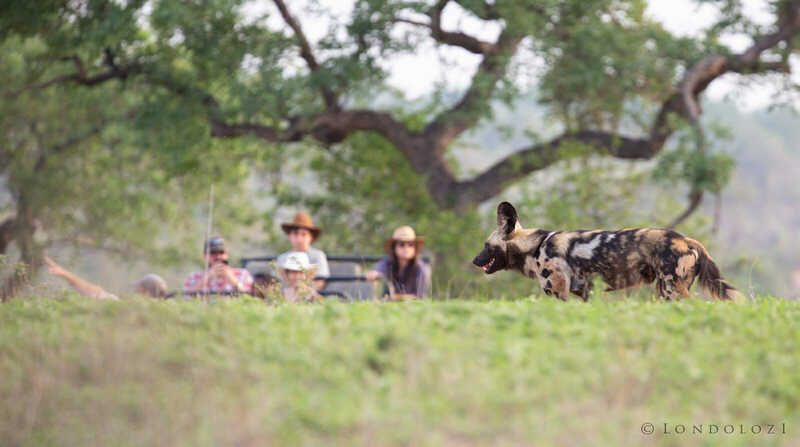 This was a wonderful wild dog sighting, not so much for the time spent with the pack but for the setting; the Manyelethi River is flowing! 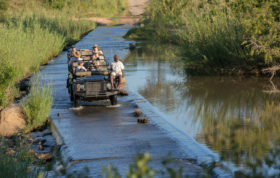 I have seen water in it before but in my 8 years at Londolozi I can’t remember a time during which it flowed for a number of days so consistently. It may well have done during the 2012 floods but we were stuck on the southern bank of the Sand River, unable to cross because our usual crossing points had been washed away. The same sighting, as some fortunate guests in ranger Sean Zeederberg’s vehicle get front row seats to the pack trotting along the marula crests opposite camp. Although we don’t see them all that often, summer time is when snakes are out and about. 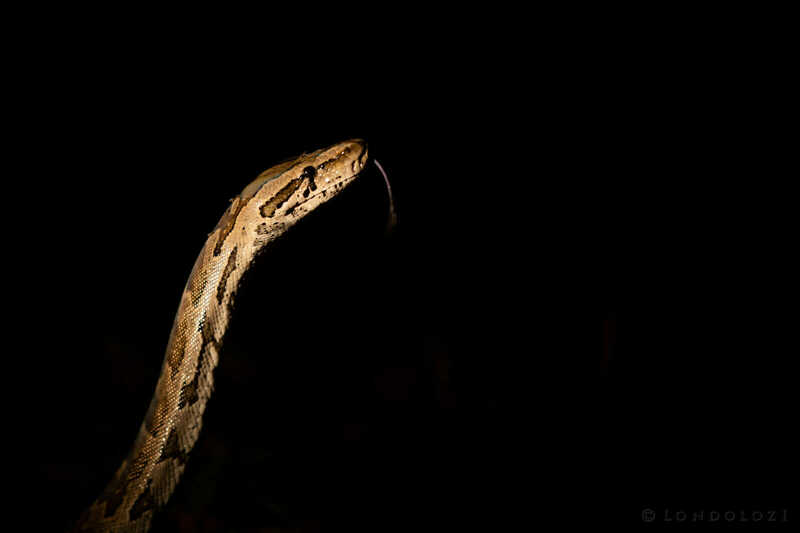 A number of them live more nocturnal lifestyles, and young pythons like this one are regularly bumped into after dark and after rain, when food is likely to be plentiful. The pair of African Fish Eagles that have been spending a lot of time around the Pioneer camp entrance provide wonderful photographic opportunities, except in this case I completely blew the shot I was hoping for! Wanting to snap the bird taking off, I waited for a good 30 minutes during which time it did nothing. Then when it finally decided to fly, I happened to have taken my eye from the viewfinder for the briefest second to check a camera setting and missed the shot! Frustrating. The Nkoveni female crosses the Londolozi airstrip during a late morning hunt. It was unsuccessful, which is evidenced by her empty belly. She met up with her cub shortly after this. 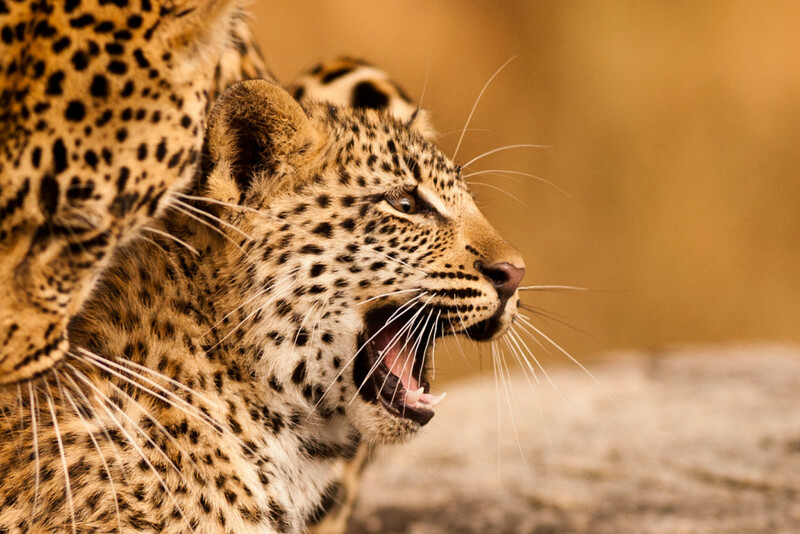 A photo from the same afternoon when she was leading the cub to a different part of her territory. They were both a bit close to the vehicle here for the lens I was using, and one can see that the photo is slightly tilted to the right. 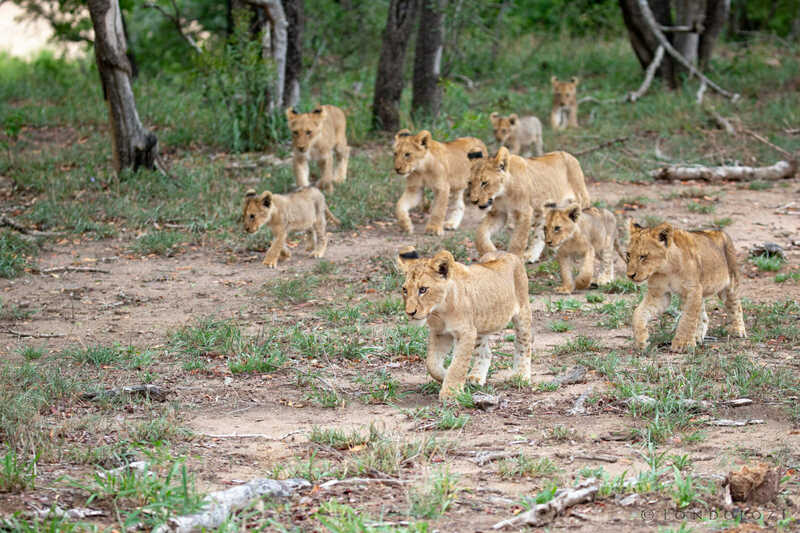 To tilt it back to level would require a crop, which would mean cutting off some of the cub’s feet. A good reminder that zooming out is often better than zooming in! 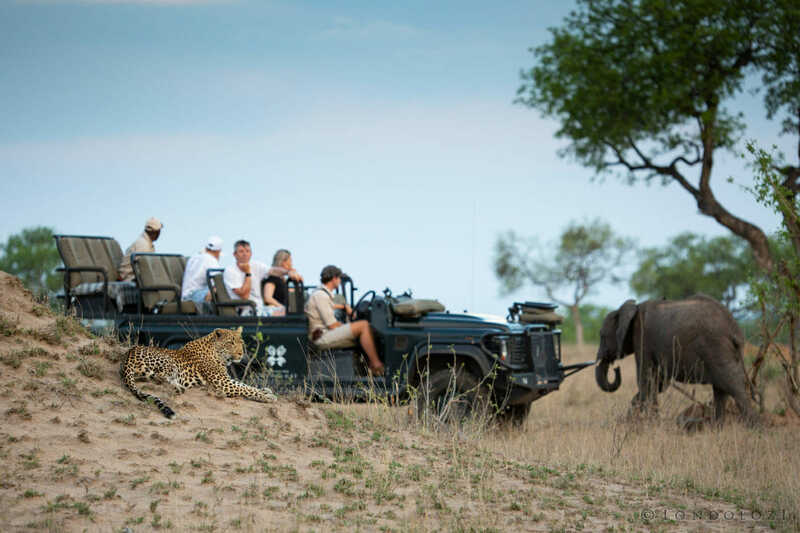 This photo is actually from a few weeks back, but shows just how incredible the wildlife viewing can be here; elephants on one side, a female leopard on the other, and all of a sudden you don’t know which way to look! The elephants must have been doing something entertaining to have most of the vehicle watching them instead of the Nhlanguleni female. Just like in the Nkoveni and cub photo, I should have zoomed out more. 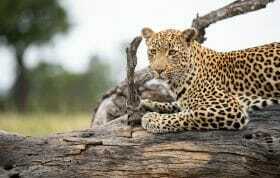 Cutting off an animal’s tail, its feet, the tip of its horns or even the branches of a tree can be a distraction in a photo, as it leads one’s eyes out of the frame. The left hand marula tree in this case is the culprit. 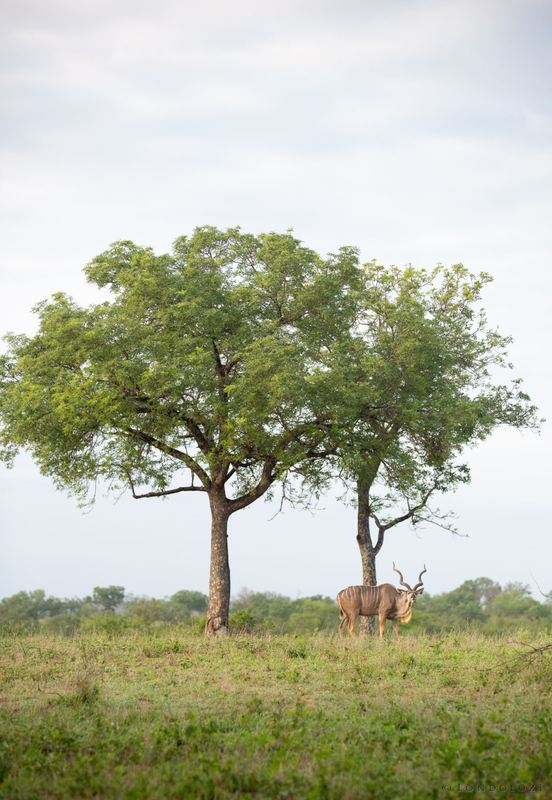 This was the first shot of a few; I immediately saw that I had cut off the edge of the tree so zoomed out, but by then the kudu had put his head down again. 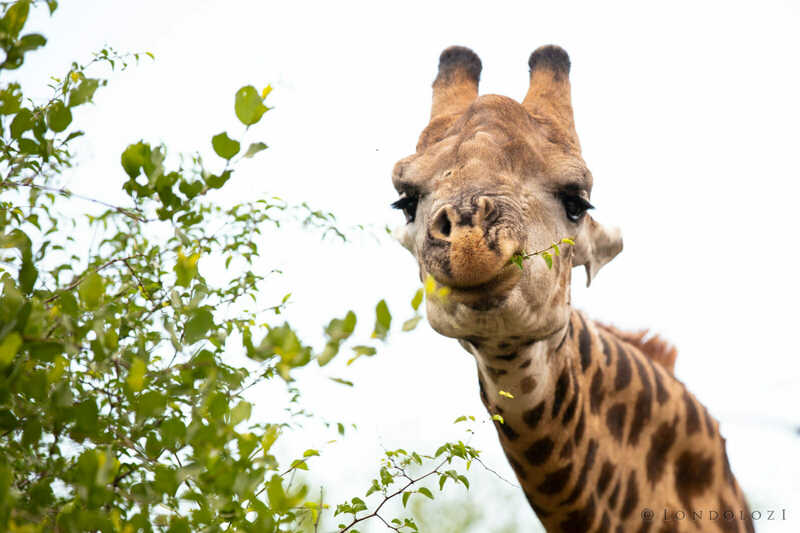 A big giraffe bull employs his rubbery lips to strip a buffalo-thorn tree of its nutritious leaves. It’s hard to see just how sharp the thorns are on the branch he’s feeding on, but if we were to drag our hand through a buffalo-thorn thicket, we’d be left with a cut and bleeding arm! The next generation. 8 of the 13 Ntsevu pride cubs walk in formation after their mothers. We are seeing more and more of this pride as summer rolls on. 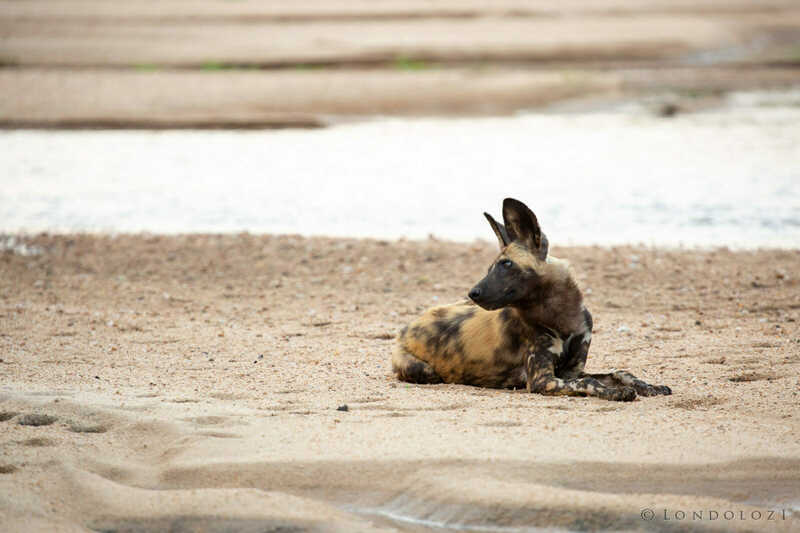 One of the young wild dogs from the sighting above looks over to where the rest of the pack were trotting back up the bank of the Manyelethi. 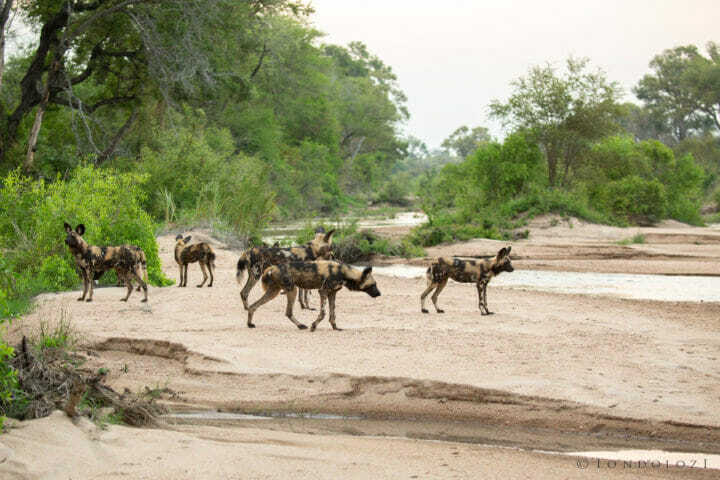 The dogs looked like they wanted to cross the river, but are scared of the danger of crocodiles, and even though the water was very shallow, could not find a spot at which they were happy to cross, so ended up turning back towards the clearings. 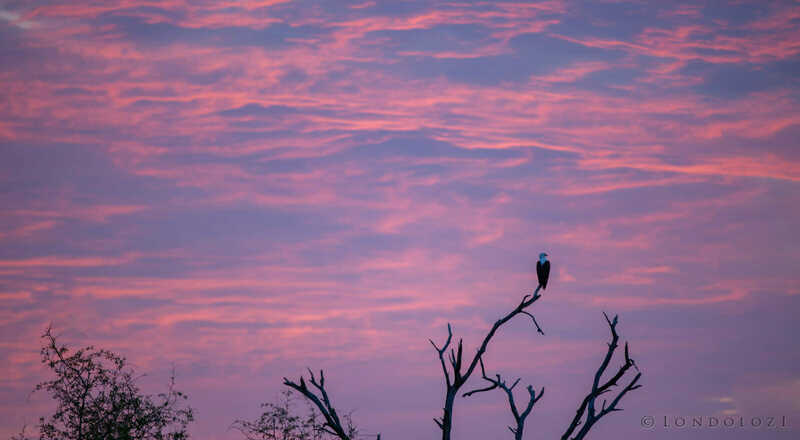 One of the same pair of fish eagles from Pioneer Camp set against the pinks and purples of an early morning. Stunning pics James. 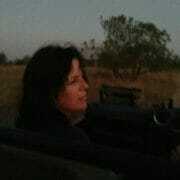 Love the wilddogs in the Manyelethi and the pink early morning sky. 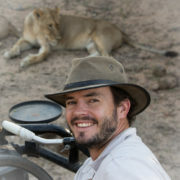 So thrilled about the Tsalala lioness! 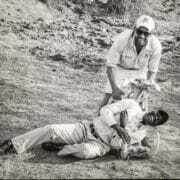 About how old are 13 Ntsevu pride cubs? I’d like to monitor their growth and, hopefully, see them during our July visit. Thank you for the “ I should have” comments on a few of your photos. I know the feeling of sitting quietly, eye glued to the viewfinder, but then feeling eye fatigue, moving my head and missing the shot that I had wanted. Oh well, next…………! 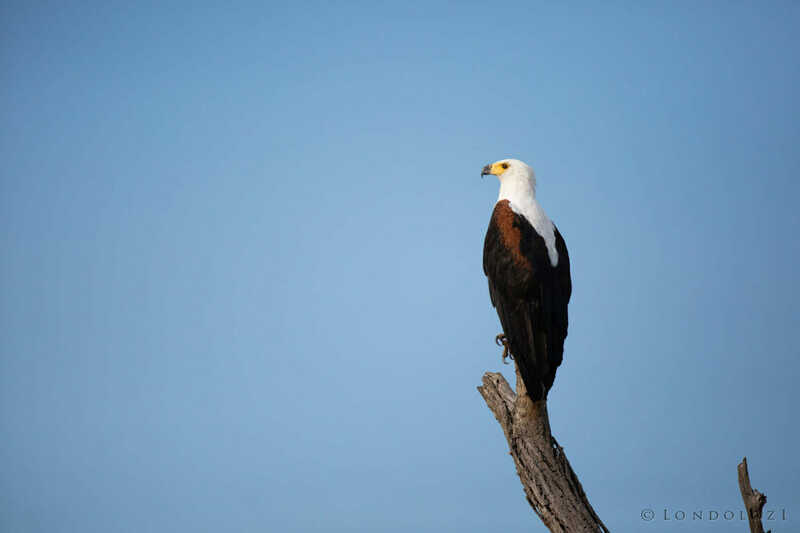 Thoroughly enjoyed your pics this week- especially your fish eagle, Nkoveni cub and the little soldiers of the Ntsevu pride, in formation! Thanks Denise. Yip, you learn far more from the shots you miss than the ones you get! 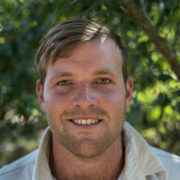 James, for the leopard cup image with the paws close to the bottom edge of the frame. 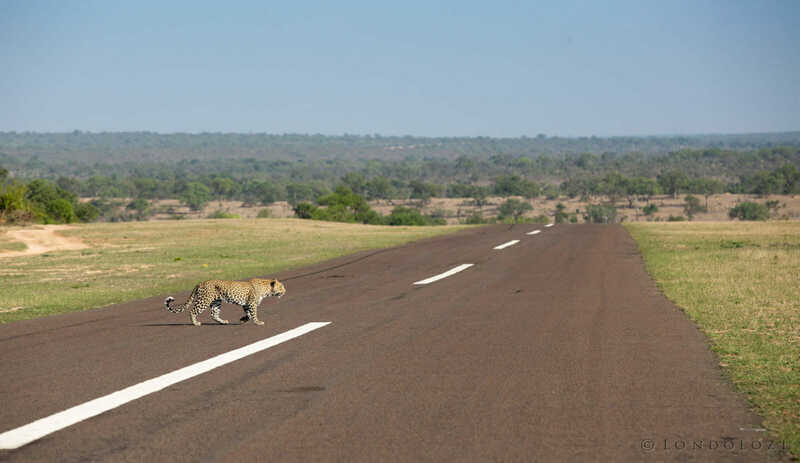 Try content aware crop in Adobe Photoshop, extending the canvas, a bit at a time. This should give you more clean area between the paws and the bottom of the image, and then you can straighten the right tilt without cropping off the paws. If it’s not perfect and pulls in a bit of paw, you can always clone this imperfection out. 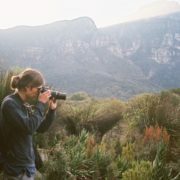 You wouldn’t be able to enter the resulting image in a nature competition. However, you can improve the image and correct the tight crop and right tilt issues. Thanks very much for that; I’ll give it a look! Beautiful shots! I can identify with waiting for a bird to fly and then hesitating to check on something just as it flies!!! ? Incredible images as usual!! 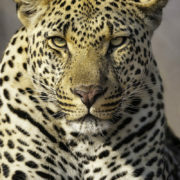 The fish eagle at sunset and the wild dogs at the Manyelethi are my favourites. Lovely shots this week, James. Enjoyed them all. 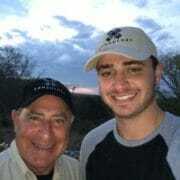 Have heard via Tony Goldman that several Cubs have been killed. Sad news. Thank you for the great photos! We were in Londolozi in September, and I was anxious to see how Londolozi “greened up” after the rains–as our Ranger Kevin promised it would.